I believe that style and fashion should be affordable and accessible to anyone. Every woman deserves to feel great and honor her fabulousness. I believe we women need to accept and adore our bodies, even the flaws that we only see. We need to worship these amazing bodies that carry us through our cherished days & bear us our children. I don’t encourage body shaming, I do encourage body positivity, learning to love ourselves and to honor our curves and lines. I want to show you how to celebrate yourself, find your style and find in your wardrobe what brings you joy. Only joy. I also want to make styling affordable to anyone, so I keep my costs low and work with all budgets. 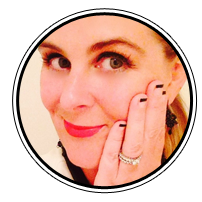 I am a lipstick loving Australian Mum (Mom) to three and live in beautiful California. For me, the days you will see me most dressed up are the days I really needed to dig deep, as I am only human, sleep deprived, frantic – like everyone else. As I get older, I love being in my skin more and more and that feels AWESOME! When I look good, I feel good and it makes my day so much brighter. That’s just my story. How about you? Leave me a comment below. LOVE the new website! Nice work YummoMummo! Your website is awesome and your philosophy is perfect! You are an inspiration and absolutely perfect for this! I love your philosophy, and your site. Just beautiful! Just came across you through Instagram. Love your blog. Im an Aussie Personal Stylist too, living in London and loving the shopping here. Too much choice!!!! Hi Nicola, Thanks for the blog love. Nice to meet another overseas Aussie. I can imagine the shopping is fabulous! !